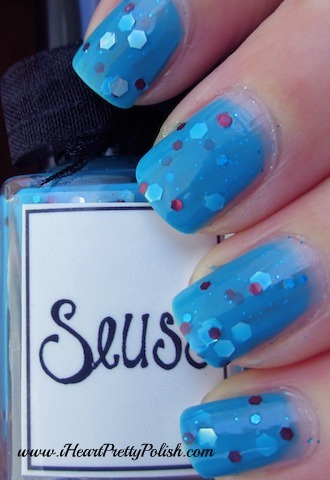 iHeartPrettyPolish: Whimsical Ideas by Pam "Seuss"! Whimsical Ideas by Pam "Seuss"! This was on the top of my wishlist since I saw it for the first time. This is Seuss from Whimsical Ideas by Pam. It's such a unique polish with the blue base and the silver, red, and little blue sparkles. This and Hatched were my first Whimsical nail polishes and won't be my last. I just love the names - they are so fitting. Because I am loving these polishes so much, I am using them for my very first giveaway. The giveaway is ending tonight and allows the winner to choose their favorite Whimsical Polish and I will have Pam ship it directly to them. I have met lots of new people and found so many awesome blogs through this giveaway:) You still have time to enter by clicking the link on the left sidebar of my blog. Good luck and welcome to my blog! SOO cute!! I love this, all the Whimsicals look adorable. been following you for a while , your nails always look beautiful! Such a fun color- and does remind me of Dr. Suess! Such a gorgeous polish! Your swatches are always perfect! Your nails are beautiful! That color rocks. :( Well hopefully you will still be around next time! WOW that looks down right amazing!! 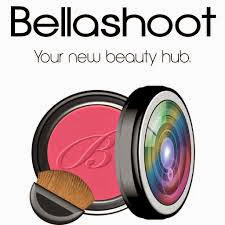 Wow, never heard of this brand but looks gorgeous!